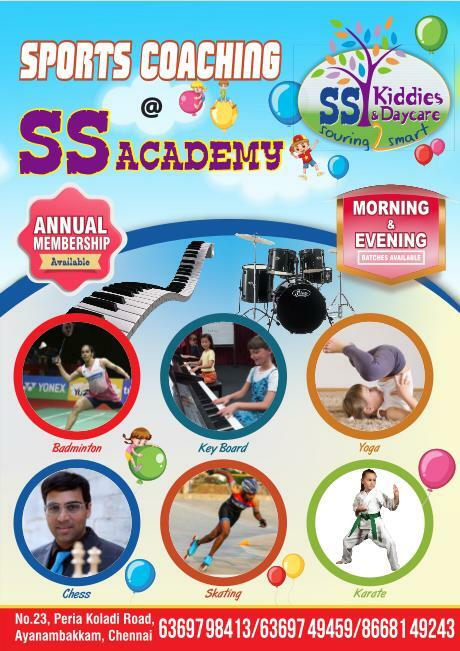 MAIN FEATURES @ SS KIDDIES & DAY CARE …..
5. Spacious class room and Hygenic campus. Classes starts from Vijayadasami and Application will be issued from 08.10.2018. 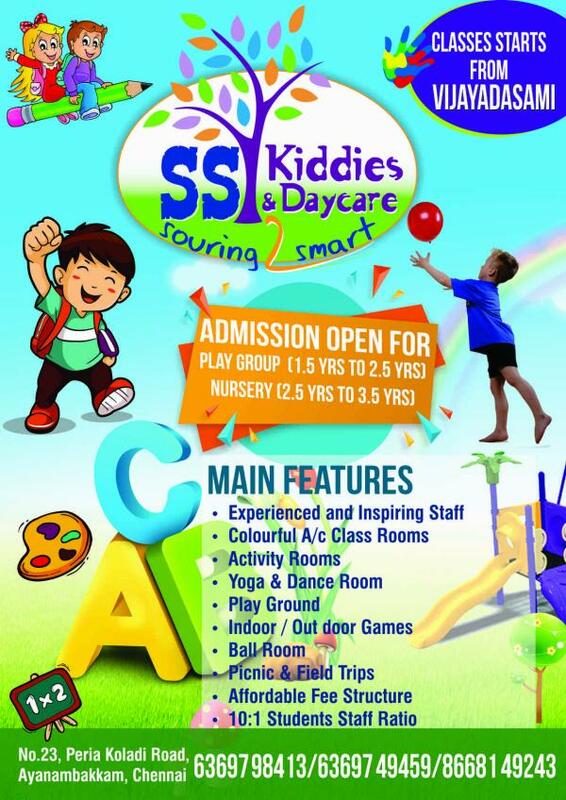 Age category for Play Group : 1.5 Yrs to 2.5 Yrs. and Nursery : 2.5 Yrs to 3.5 Yrs.